"I haven't seen Marchionne for months," Mueller said. 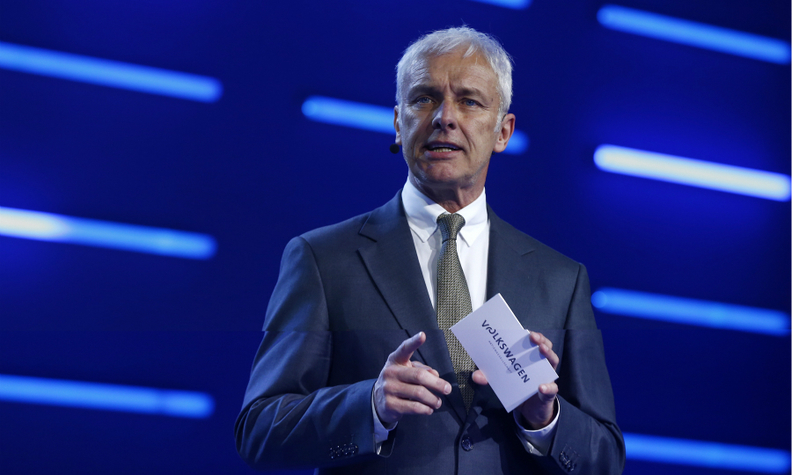 GENEVA -- Volkswagen Group is not open to merger talks with Italian rival Fiat Chrysler, CEO Matthias Mueller said on Wednesday, rebuffing comments from FCA CEO Sergio Marchionne. "We are not ready for talks about anything," he told Reuters on the fringes of the Geneva auto show. "I haven't seen Marchionne for months." "We have other problems," Mueller said. Marchionne said on Tuesday at the show VW could be an attractive prospective partner and may be interested in talks. He has long advocated more car-industry mergers and has been rejected more than once by General Motors, which this week agreed to sell its European unit, Opel, to PSA Group.